In 2014 we warned a drone war was coming. Specifically we said, "Drone technology may be the biggest threat to civilized society over the next twenty years." Two months later El Mehdi Semlali Fahtia, a Moroccan national, looked to use a drone to attack a federal building in our home state of Connecticut. Earlier this year, we told you the drone wars have arrived and that an army of good drones will protect us from the bad ones. The challenge is if we need good drones to protect us they need to likely be armed. It looks like the legal framework to allow this to happen may soon be passed. If the law is passed, it will be the first to allow lethal drones to be used by law enforcement. This is a very big deal. 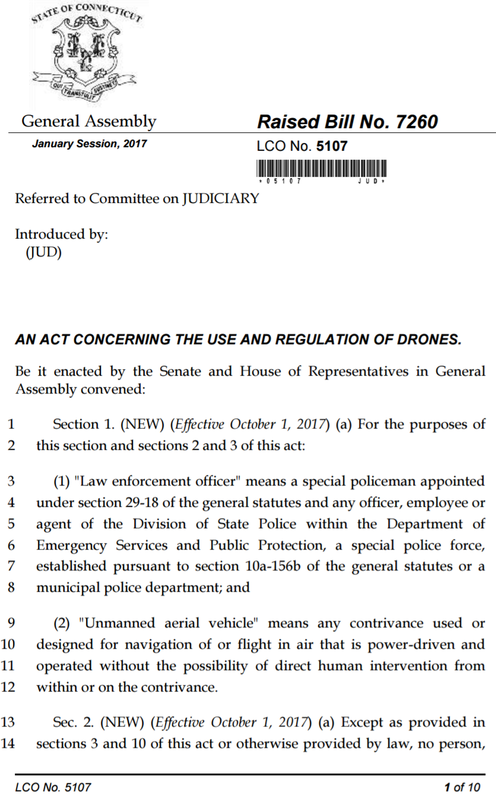 It is quite necessary for law enforcement to be able to combat criminal drones which can be used for terrorism and other nefarious activities. Moreover, the military is spending a tremendous amount on drone research - they need to be able to detect and destroy them before they carry out their missions. Much of this same technology will filter down to a city near you - like it or not.